Every year, millions of Americans are bitten by dogs or attacked by other animals. 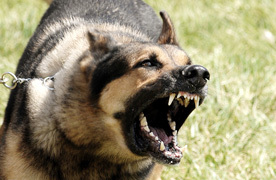 Dog bite/animal attacks claims fall under the umbrella of personal injury law, where the injured party has the legal right to seek compensation for injuries caused by another party's actions or negligence. Being attacked by a dog or other animal is usually terrifying. The physical injuries from an attack can leave a victim severely traumatized and injured, with substantial medical and hospital expenses, as well as the distinct possibility of psychological injuries such as post-traumatic stress disorder from an attack. When a child is the victim, the injuries can be fatal. The Law Office of Mark A. Siesel, with offices in White Plains, the Bronx, and a satellite office in Peekskill represents clients in Westchester County, the lower Hudson Valley and throughout New York State for injuries caused by animal attacks. These injuries can include disfigurement, torn ligaments, scarring and even death. In addition to the physical injuries, there are frequently severe and substantial emotional and psychological injuries from the trauma of the event. We will seek to hold dog and other animal owners accountable for all of the physical and emotional injuries they cause our clients. Additionally, in cases where owners of vicious animals do not have insurance, we retain the necessary experts where needed to determine if the owner of the vicious animal has assets to satisfy a judgment on our client’s behalf. If you have been the victim of a dog bite or other animal attack, seek the necessary medical assistance and then contact our firm for a free, caring, and confidential assessment of your claim.